The truth is out! I repeat the truth is out! 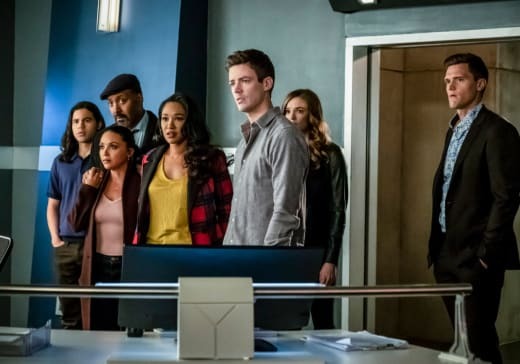 The Flash Season 5 Episode 17 gave us the moment we’ve all been waiting for. Nora confessed to being in cahoots with Eobard Thawne. At least, technically it was her confession. Sherloque was the one to drop the actual reveal. 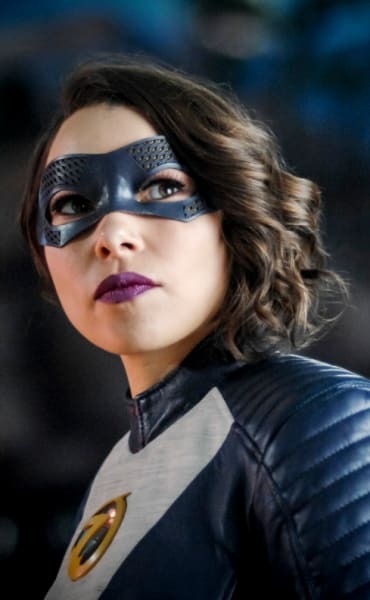 Sherloque’s character being given some significance to the plot was nice(it only took 17 episodes), but did it need to be during the biggest moment of the season? Not hearing the confession from Nora's mouth felt like a cheat, and essentially invalidated any growth she had shown since her introduction. Perhaps her lack of honesty heightened the drama, but it didn’t feel like a sacrifice worth making. Especially when it read as a desperate attempt to keep Sherloque relevant. The father/daughter chemistry between Gustin and Kennedy is phenomenal and watching them bond has been a highlight of the season. Nora openly crushing that bond would have been a better payoff. Even without dialogue, the broken moment between Barry and Nora was heartwrenching. Kudos to both actors for communicating so much emotion in a single tear filled stare. Sherloques delivery may have not been the best course of action, but the aftermath of his words was executed flawlessly. Iris’ desperate attempt to have Nora deny the claims was gut-punching. Barry tossing Nora directly into a cell with no hesitation drove home the depth of her betrayal. Even Nora’break down at the sight of Barry's turned his back was awesomely poignant. The Flash is so special in its ability to weave wit and humor into it’s writing; it’s one of the shows greatest strengths. Which may be why when they change course with more emotional beats, it resonates profoundly every time. Another perfectly executed moment? The opening scene between Thawne and Nora. A little melodramatic perhaps, especially with Cavanaugh’s delivery of “tell your father everything,” but shows who are usually married to a specific formula should be celebrated for their bravery in playing outside the box. 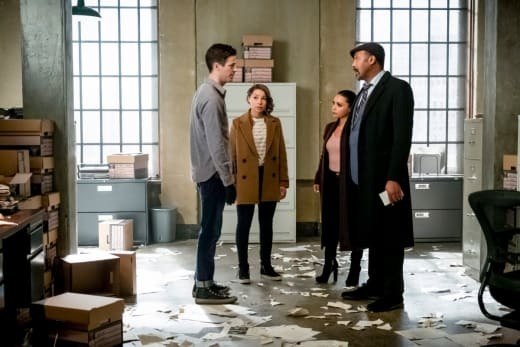 The lighting and directional choices were some we have never seen from The Flash; the close-up angles provided an eerie and ominous quality which set the tone for the rest of the episode. The theme of the hour was honesty with the ones you love, and it tied seamlessly throughout every plotline. 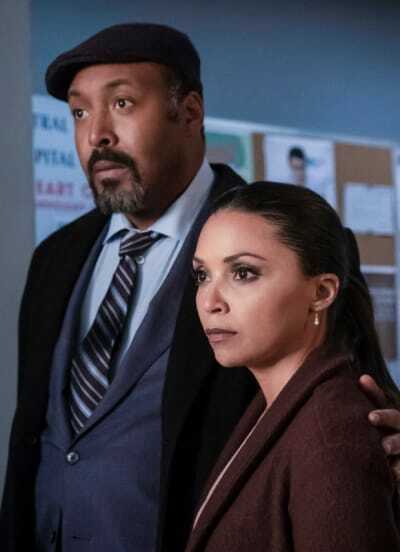 Bringing in Grace’s parents alleged killer heightened the “meta of the week” stakes, and granted Cisco and Ralph a moment to shine. More often than not, weekly villains don’t do much for the story. The character of Vicki, however, allowed “Timb Bomb” to move multiple narratives forward. Vicki's relationship with her daughter showed Nora how imperative it is, to be honest with family. It gave her a sense of security about revealing her secret--no matter what she tells her parents, they'll forgive her eventually. 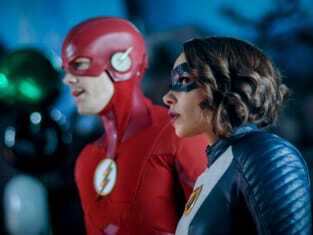 If Vicki’s daughter can forgive her wrongdoings, surely Barry and Iris can forgive Noras. Perhaps in Nora’s case, it's too little too late. Vicki’s presence also quickly provided Grace a motive for revenge. Although Dwyer's reasons for becoming Cicada were eventually explained, it was apparent he would eventually be redeemed. Grace’s viciousness seems much better placed, giving the character more organic antagonistic roots. The ferocity displayed by Future!Grace is largely thanks to the acting chops Sarah Carter has brought to the table. She plays Cicada with an unapologetic vengeance. With only one episode under her belt, she has already surpassed Klein’s depiction of the character. Not all credit goes to Carter, though. The writers chose to have Grace savagely slaughter her uncle and it was a blockbuster moment for the show. 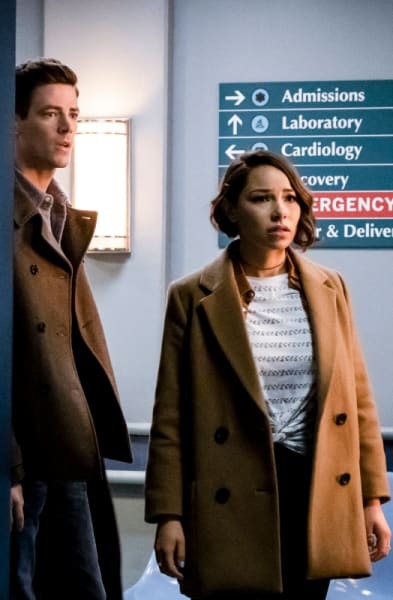 It felt doubtful that The Flash Season 5 would be able to elevate Cicada's storyline after seventeen relatively underwhelming episodes. Even if Grace fought harder, longer, or feistier than Dwyer did, she was still essentially the same character with better training. Amplifying her hate to the point of killing the only person she loves, completely changes the game for the rest of the season. This character has seemingly no weaknesses and absolutely no humanity. At this point, Grace has nothing to lose. That’s not something we’ve seen from a Big Bad on this show. Every other villain has had a reason to kill or a goal they were trying to achieve; a clear endgame in mind. Grace? She’s just out to slaughter as many people as she can. That’s the serial killer storyline I signed up for. "Time Bomb" wasn’t complete doom and gloom. 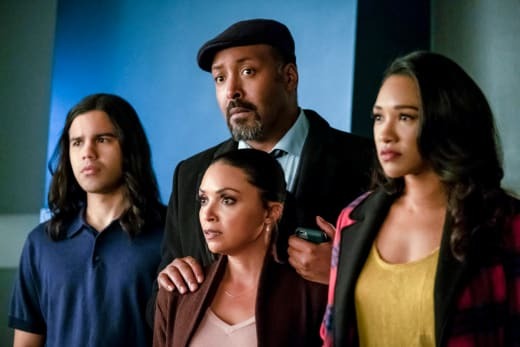 Leave it to resident funny men Cisco and Ralph to keep The Flash's roots in check with a sweet yet hilarious secondary storyline. Ralph’s push for Kamilla to “Peter Parker” herself into a supernatural being was totally in line with his character. The levity of jokes Ralph continuous to deliver this season has brought him around to full-fledged fan favorite. The writers found a solid dynamic between him and Cisco, and it was right of them to run with that chemistry. Of course, who doesn’t have chemistry with Cisco? Cisco’s hesitation to divulge his secret identity to Kamilla stayed in line with his desires of the season. It’s understandable he wouldn’t want her to join Team Flash. His yearning for a “normal” life gives him an even thicker layer of relatability; a reason he is consistently beloved by Flash audiences. Unfortunately, his wishes are probably fruitless, and Ralph’s shockingly good advice will ring true. If Cisco wants a real relationship with Kamilla, he's going to have to lay it all on the table. Kamilla is a likable character, even if viewers don’t know much about her. 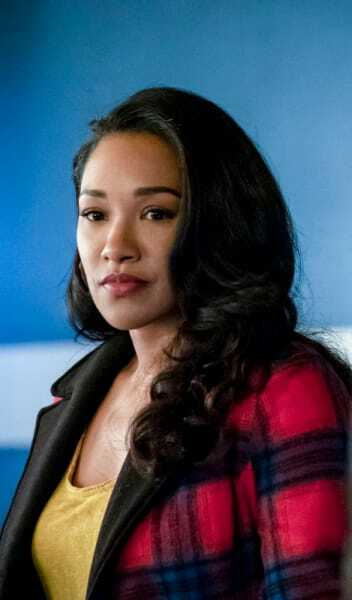 Pairing her up with Iris feels like a smart move--especially if she rolls into The Flash Season 6 with the rest of the cast. That would only be if Valdes doesn't leave the show, which he very well might. But we’re choosing to pretend that rumor doesn’t exist. If Kamilla does get bumped up to series regular, what would that mean for the rest of the Team? 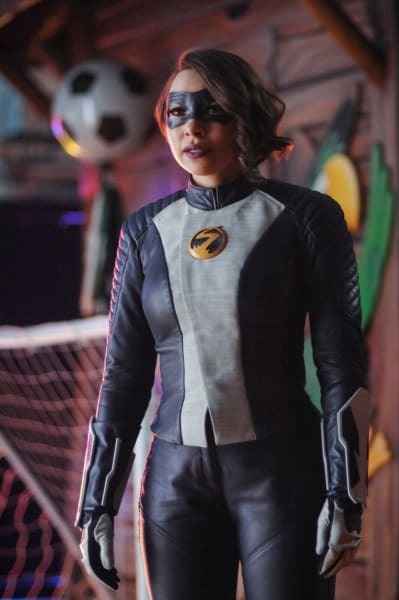 A blossoming friendship between her and Iris would be lovely. The Flash isn't exactly known for its strong female friendships. With Kamilla's photography, two major characters working on the Central City Citizen may put more focus on Iris’ journalistic endeavors. 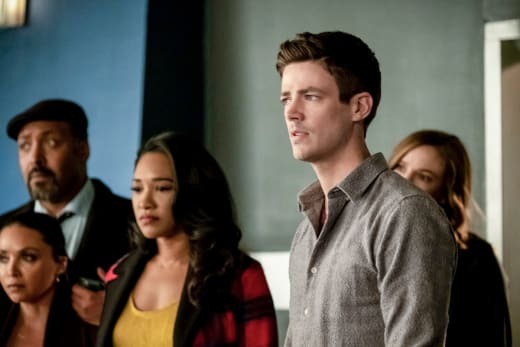 Could Danielle Panabaker be the one leaving after The Flash Season 5? 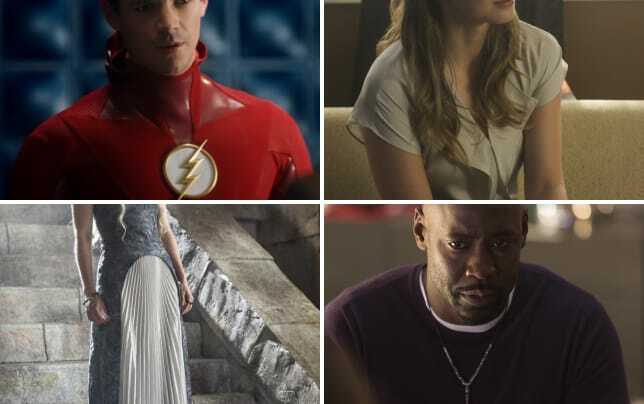 Could audiences be saying goodbye to Killer Frost, and hello to Spider-Girl, instead? Only time will tell. So far, Kamilla brings positive energy to the show. More strong women of color, please. Finally comes the question of Eobard Thawne. “Time Bomb” let Team Flash in on his involvement, but his motives are still unclear. According to Sherloque, he’s been using Nora all along. According to Thawne, he was helping the greater good. Either reveal will most likely be satisfying. Thawne is captivating as a villain, but The Flash and Reverse Flash having to team up against a villain like Cicada would be just as intriguing. It took awhile, but Flash Fanatics, we’re finally getting to the good stuff. It’s full steam ahead from here! RIP Orland Dwyer. You were a boring villain, but you were starting to get interesting after you took the cure. Too bad Grace murdered you. 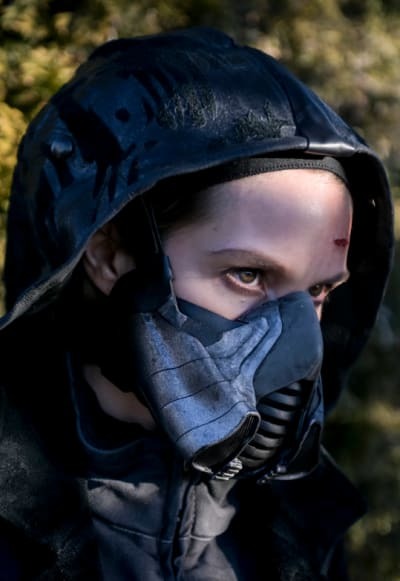 Hopefully, the writers will expand on Nora and Grace’s connection. It’s clear it stems from Nora entering her mind, but there has to be more to it than just that. 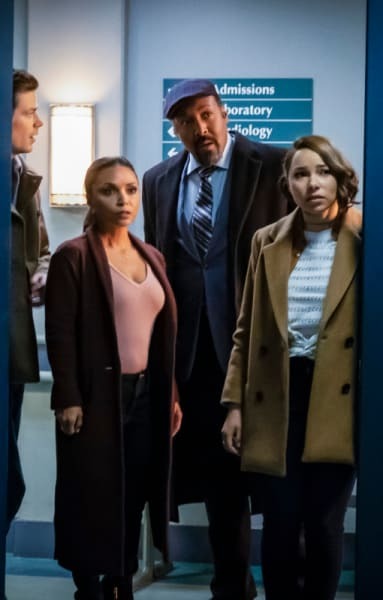 Barry and Iris were in Nora’s mind, and nothing happened to them. Next episode seems to promise lots of West Allen working through their issues together. That is all kinds of good news. Cecile’s powers are justly relevant to the storyline and it’s thrilling to see her working with the team on a more consistent basis. Star Labs old desk! YAY! 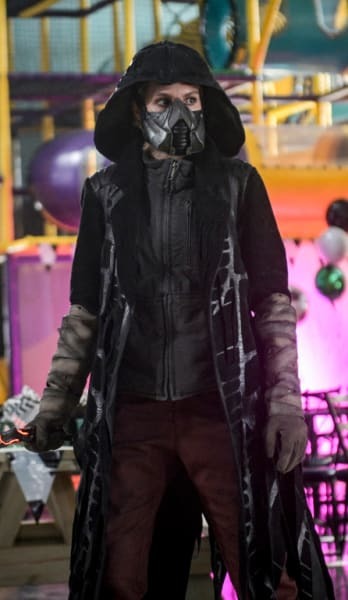 The Flash playing a cosplay version of The Flash at a little kids birthday party? Dreams do come true! We will always, always, ALWAYS appreciate and respect a Peter Parker reference. We would also totally be on board with Kamilla actually getting bit by a radioactive spider. 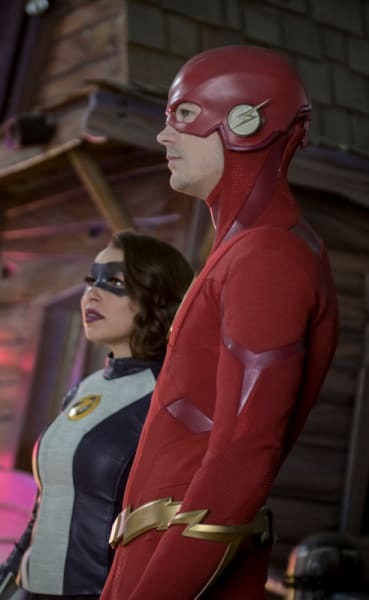 Okay Flash Fans, it's your turn! What did you think of the episode? Were you disappointed Sherloque didn't let Nora spill the beans? What are your theories regarding Thawnes motives? Is Grace proving to be a better villain for you? Shout off in the comments below, and don't forget! 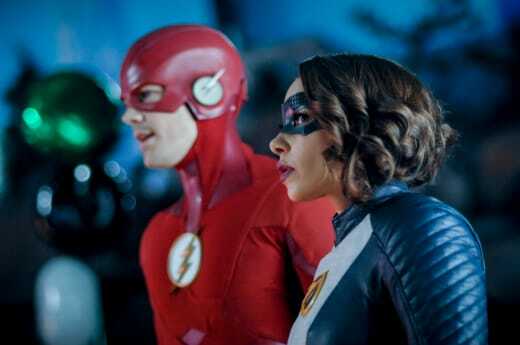 You can catch up on everything by watching The Flash online, right here at TV Fanatic!